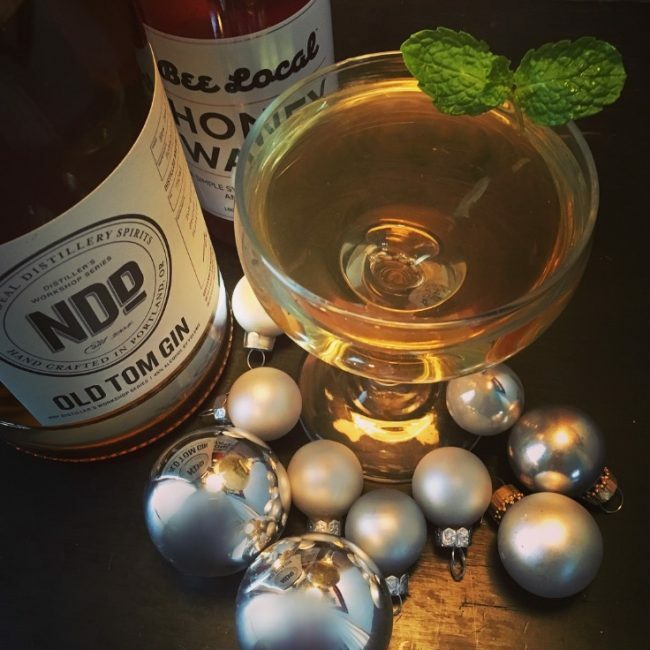 Bells might start ringing when you imbibe this holiday cocktail. Shake all ingredients over ice. Strain into coupe glass and garnish with mint leaves.